North Carolina Staffordshire Bull Terrier Rescue View other Staffordshire Bull Terriers for adoption. Single Brindle Male in search of loving companion to spend cold nights curled up in front of the fireplace cuddling the night away. My name is Chico and those that know me describe me as being one of the most amazing and affectionate dogs they have ever met. I'm a lover in all aspects of life and have never met a stranger that I did not wag my tail and smother you in puppy hugs and kisses. My daily activities consist of playing in doggie daycare with all of my friends, they say I'm practically bomb proof and get along with all dogs that I meet, and once I've tuckered out I like to sit back and take a nap in the sunshine. From time to time I come inside and hang out with the girls in reception and I love to curl up in a dog bed and nap the day away. I'm extremely well behaved in the house and love to just be with you. If you have cats I am probably not the pup for you though because I like them a little too much and like to chase them when I see them. I don't mind children at all and would love to find a home that has kids where I could be their best friend. If you have been looking for the most super, amazing, wonderful, perfect, pit bull EVER then Chico is the pup for you. Apply to make Chico the next member of your family today!! Our hospital is open for adoption visitation Monday through Friday from 7:30 to 5:00pm and Saturday's from 8:00am to 11:00am. If you have any questions please feel free to call us at 919-266-8177 or email pets4adoption@bellsouth.net. All adoption fees are cash or check only, we do not accept credit cards for adoption fees. 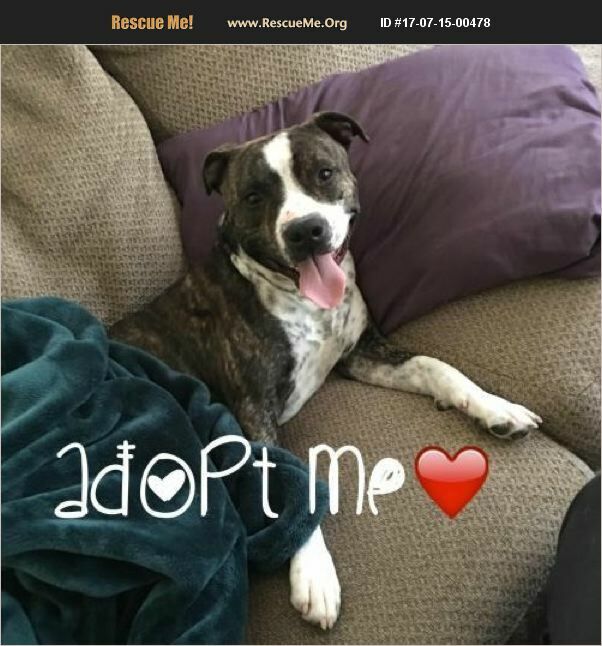 To speed up the adoption process please visit our webiste, www.mmahrescue.org, to fill out an application and get pre-approved when you arrive to meet your new best friend! Prior to meeting an adoptable animal we do require an approved application to be on file, sorry for this inconvenience. Cat adoption fees are $50 for kittens under 16 weeks of age and $75 for kittens/cats over 16 weeks of age. Dog adoption fees are $150 for puppies under 16 weeks of age and $175 for dogs over 16 weeks of age.